Design from the same components your developers use. 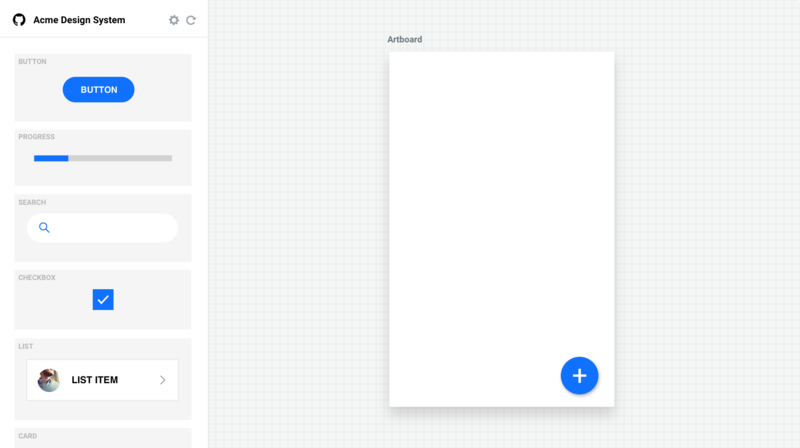 CodeKit is a design toolkit tailor-made for design systems. Import and sync your coded components to get started. Need your design system coded? We can help! Finally, a real source of truth shared by design & developer teams – automatically. A design IDE that lets you drag real components onto a canvas that simulates web tech. Stop pretending with static pictures and say goodbye to inoperable Buttons that you can't interact with. Auto-sync your Git repo and say goodbye to instantly outdated ui kits & styleguides when code changes. We're excited to meet and chat about how we can make CodeKit fit your team's unique traits. Yes, can we use CodeKit?No, but we need helpNo, we don't need help Is your design system coded?